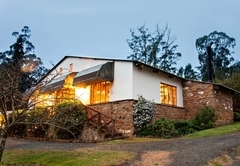 Cranford Country Lodge is a highly recommended guest house with self catering option, providing accommodation in Currys Post for tourists visiting the Natal Midlands region. 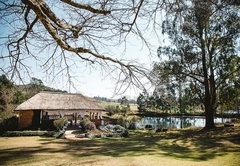 Cranford Country Lodge is a family run business that prides itself on creating a warm and welcoming experience for all its visitors. 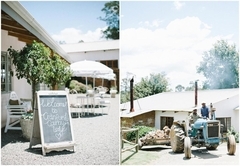 Located near Curry’s Post, nestled among the picturesque hills of the Midlands, Cranford is the perfect place to find some of that country charm. 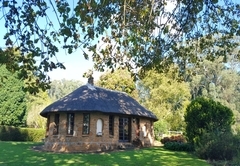 Cranford Country Lodge is the perfect place to escape to from the hustle and bustle of the business world. 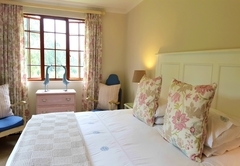 Welcoming, relaxing and comfortable, the lodge boasts a mix of luxury bed and breakfast and self-catering cottages to suit your needs. 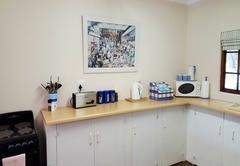 At Cranford there are so many activities to enjoy, not only are we situated in the heart of the Midlands Meander but we have fantastic facilities that are all on your doorstep! 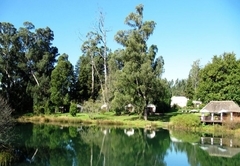 We have two big bass dams for fishing as well as a lovely swimming pool. If you're feeling active, our tennis court is available. This is Cranford's largest cottage which overlooks both the swimming pool and bass dam. 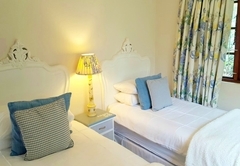 This cottage consists of 2 bedrooms with twin beds pushed together and en-suite bathrooms. There is also a kitchen, lounge area and fire place. 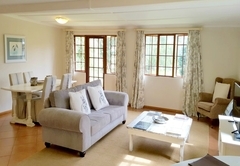 This cottage is joined to the Acorn Suite. 2 Baths. 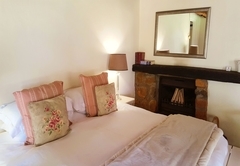 The comfort of a King size bed, en-suite bathroom and fireplace. Cosy and comfortable. (Sleeps 2 guests). Bath + Shower. 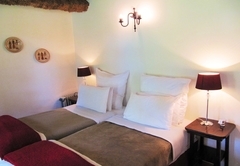 Combined Oak Tree and Acorn sleeps 6 guests. 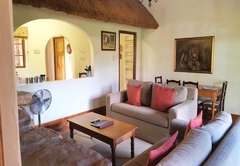 A very comfortable family cottage with 2 bedrooms sharing a bathroom. One bedroom has a queen sized bed and the other room has 2 single beds. This cottage has a private garden. Bath. 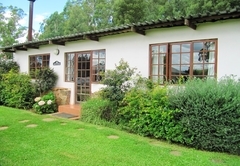 A fantastic Family cottage with 2 bedrooms sharing a bathroom. One bedroom has a double bed and the other room has 2 single beds. 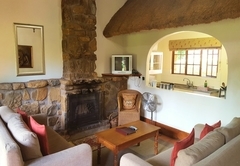 The cottage has a fire place and private garden. Shower. 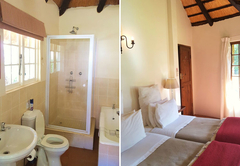 1 bedroom cottage with en suite bathroom and twin beds pushed together. 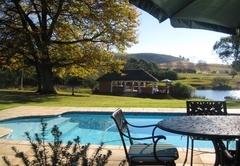 This cottage also has a lovely deck which overlooks the dam. Bath with overhead shower. 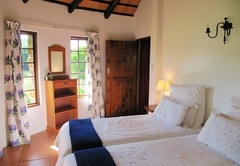 1 bedroom cottage, which has a Queen-size bed and en-suite bathroom with a beautiful deck overlooking the dam. Big Bath. 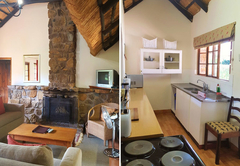 Positioned close to the stables, this aptly named luxury cottage boasts two bedrooms each with open-plan, ensuite bathrooms, one bedroom has a double bed and the other has two singles. 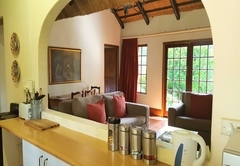 There is an open plan living space with a small lounge, DSTV, kitchenette and dinning area. 2 x Showers. This is our honeymoon suite. 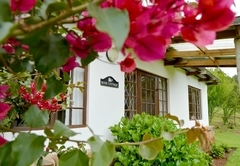 It is one of our best cottages. 1 bedroom with en suit bathroom (King size bed). Kitchen, lounge, fire place, television and a comfy sleeper couch. It also has a single bed in the bedroom. Good for a family of four. It was our first time visiting Cranford and wow, am I impressed! 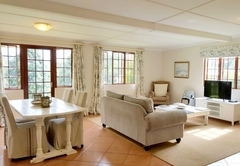 The cottages are exquisite, clean and neat. Waking up on a cold winters morning to farm-sounds and seeing horses when looking out your window is a fantastic stress-reducer. We will definitely return to Cranford. I have to make a special mention of the staff who catered to our breakfasts in the mornings. They were always smiling, made good conversation and went the extra mile to cater to the whims of our 4-year old. You guys (and girls) are superstars!